The Ukrainians convicted in Russia are in bad condition. President Petro Poroshenko has said that Ukrainian nationals Hennadiy Afanasyev and Yuriy Soloshenko convicted in Russia will shortly be released. The president said this at the meeting of the National Reform Council. "To follow up on [Nadiya] Savchenko's release, I can already say this today, Soloshenko and Afanasyev, who are in a very bad condition due to cancer and sepsis, will be released," he said. Iryna Herashchenko, Ukraine's negotiator in the Donbas talks in Minsk, said on 25 May that the good news about Afanasyev and Soloshenko were expected. Afanasyev was detained in Crimea in May 2014. A Russian court found him guilty of preparations for terror acts within the "group of Oleh Sentsov". 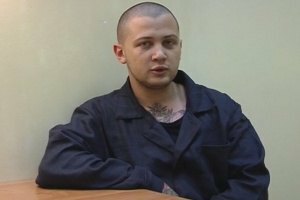 Afanasyev was sentenced to seven years in prison. Soloshenko, 72, was detained in August 2014 when he arrived in Moscow for a business meeting. The Russian Federal Security Service (FSB) said he was seeking to illegally buy spares to the S-300 surface-to-air missile system. In October 2015, the Moscow city court sentenced him to six years in heightened security prison. In March, he filed a petition for pardon with Russian President Vladimir Putin.